An integral part of every vacation rests in the food you eat. Because of this, restaurants are a great way to tell whether you will return to a place or not. 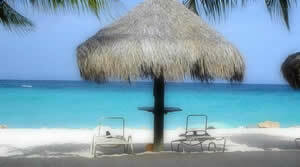 If you are planning on going to Aruba anytime soon, you will not be let down when it comes to the cuisine. Regardless of what type of food you like, you are sure to find the place to eat that you will love. There is such variety when it comes to food in Aruba because of it is such a great tourist location. There is demand for all types of food. The majority of the restaurants are located near Oranjestad and Palm Beach, which are the two main places people stay while on vacation. You will find the best selection here. However, there are other places to eat throughout the island, so if you are up for a short ride, you might find it worth it to explore. Your trip will not be lacking in variety when it comes to food. There are places devoted to virtually all corners of the world. Try your hand at local Aruban food or South American such as Brazilian or Argentinean. Your taste buds will thank you. If you prefer restaurants with which you are familiar, Aruba also offers American cuisine, as well as Chinese and Mexican. There even are a few sushi bars on the island. If your dining experience is not complete without a juicy steak, you will happy to know there are a few steakhouses on the island. Of course you will not want to leave without trying plenty of the fresh seafood from around the island. There is such variety when it comes to dining that you will have to decide which places to pass up and wait until your next Aruban vacation. Reservations at the restaurants vary, so you will want to check with the actual location to see whether you need to plan your trip. Your hotel or resort is a great way to learn more about the dining because they will have brochures on all of the dining. In addition, you always could ask them where they recommend. It always is nice to get a local’s perspective when it comes to dining because they usually know great out-of-the-way places that are the best on the island. You will have to book a return trip if you want to catch all the cuisine offered.